My jaw literally dropped when I saw who was on the cover of April 2011's Numéro. The first time Numéro use a celebrity, it's Fan Bing Bing (范冰冰). The cover was pretty disappointing, her eye make up was too thick. As much as I love smokey eyes, this is just too much. 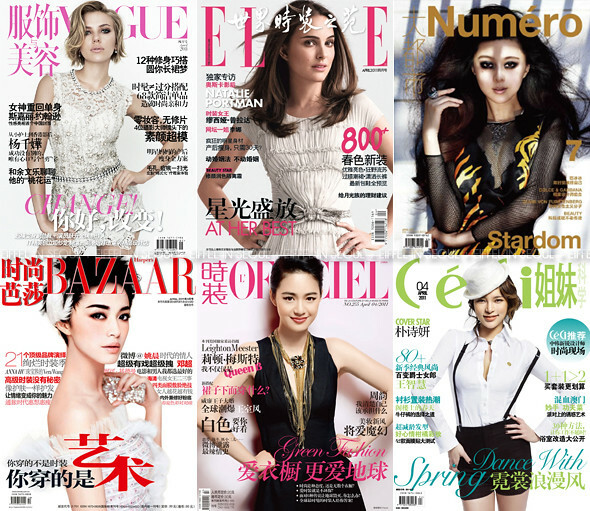 What are your thoughts on April 2011 China edition covers? I loved Yao Chen's. She looks beautiful.